At The Swindon Limousine Company we understand how important it is that your special wedding day runs smoothly. Whether you want romance, sophistication or fun on your wedding day we have Vintage Cars, Limousines and Hummers to suit. Arrive at your destination in style giving you and your wedding dress room in a luxuriously spacious Vintage Car, Limousine or Hummer Limo and keep your look for all those great wedding photo opportunities. At The Swindon Limousine Company we cater for all your wedding party needs. Whether you are looking for a Vintage Wedding Car hire in Swindon or a Wedding Limo hire in Swindon or Wiltshire. We cover all Weddings including Pink Weddings, Civil Weddings, Asian Weddings, Traditional Weddings, Indian Weddings and much more. 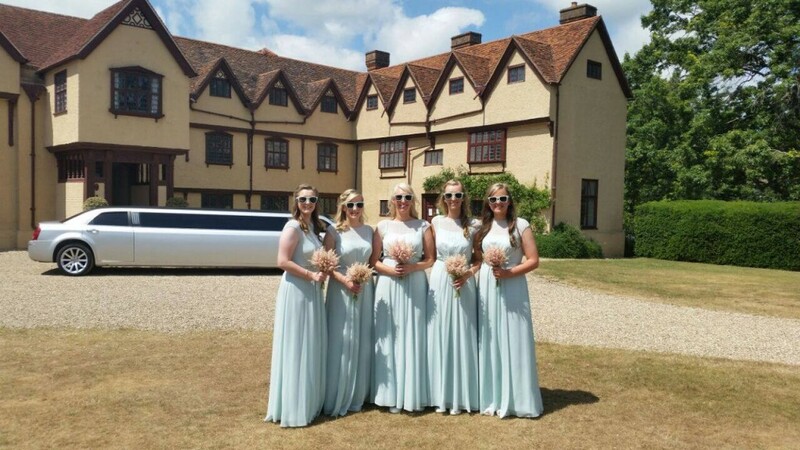 The Swindon Limousine Company offers a professional, smart, friendly and reliable service from the time of enquiring and booking up to the wedding day itself for your peace of mind. Alexandra House, Bowood Hotel, Spa and Golf resort, Rockley Manor, Blunsdon House Hotel and many more beautiful hotels, Barns and Country homes. The Swindon Limo Company offers a classic wedding package which suits most weddings. Our wedding package includes up to 3 hour hire allowing time for pick up and taking to the ceremony, waiting time and photographs and onto the reception, with bubbly for the happy couple to toast, flowers in the car to decorate, ribbons and bows in your colour scheme. We also offer bespoke wedding packages to suit your wedding day requirements which you can discuss with our friendly team. We have a wide selection of wedding cars all complimenting each other giving you the option of booking more than one car for your wedding day and giving you the peace of mind that they are from the same company. Visit our fleet page to view all the wedding cars we have to offer you for wedding car hire in Swindon.